Make your style impress with right walking slacks suit when you dress up. Montique has the style and selection of new fits for you. 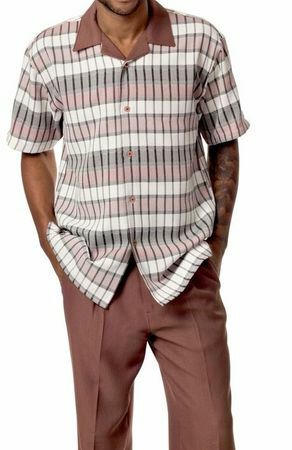 This taupe pattern fabric leisure slacks outfit features nicely shirt and collar that is open and has solid taupe pleated pants.